General health and well-being can make a big difference to someone’s quality of life, whatever their age. Eating well and keeping fit are important. Someone might be recovering from injury or just getting older, but it’s important they are as active as they can be. Regular physical activity will help maintain strength, flexibility and energy levels. Walking Netball is ideal as someone can start gently and build up gradually, aiming to do a little more each session. Regular weight-bearing exercise helps keep bones strong by forcing the bones in the lower half of your body to bear a person’s full weight each time they move. Older people who take part in Walking Netball will see many benefits: lower heart rate and blood pressure, less fat and more muscle, and better mobility. The British Heart Foundation advocates for regular physical activity in order to reduce risks of heart disease. Alzheimers UK tell us that exercise is beneficial for physical and mental health and may improve the quality of life for people in all stages of dementia. Cancer Research UK advocates physical activity as a way of reducing risk of cancer and other illnesses and they tell us that physical activity is potentially beneficial during and after cancer treatment. Most people find being more active easier than they expected – and more enjoyable. The more someone enjoys Walking Netball, the easier it is to keep it up, and that’s when they’ll really reap the benefits. 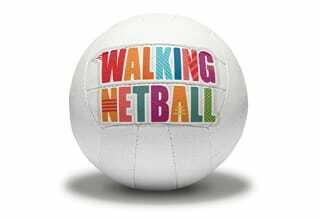 You may be surprised by how much fun walking netballers can have, how much fitter and healthier they will feel and how much they can achieve. And it’s not just health benefits – Walking Netball also offers social benefits. Participants can meet new people, avoid becoming isolated, and interact with individuals and small groups.